The Topcon TP-5 tripod is a high quality protected ash and pine unit. The tripod is protected with a high-tech plastic sealant, keeping it protected from water. The wood will not warp or swell, causing it to not sit level. 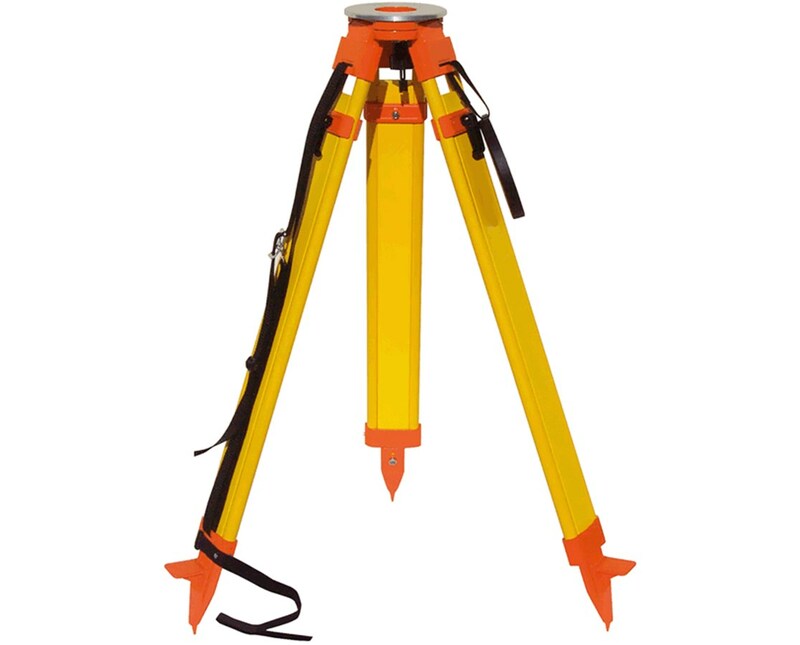 The yellow and orange design make the tripod easily visible on the work site. The Topcon TP-5 tripod also uses high quality brass hinge pins, that feature Quick Clamp, making sure the unit stays stable, protecting the survey equipment that is mounted on it from damage. The points in the legs are made of hardened steel, but are replaceable if needed. The legs will expand to 70" tall. There are many units that can be mounted on the Topcon TP-5, as long as they work with the 5/8 x 11 thread, including the GR-5 and other GPS receivers. It will also work with Total Station units and levels. 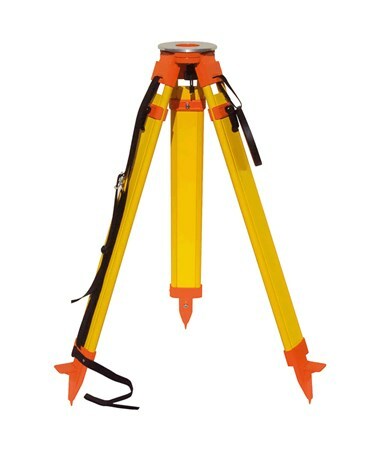 It is a valuable accessory for any survey or construction company. The carry strap makes it easy to transport to and from the job site.